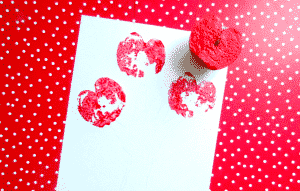 Apple stamping is a classic Kid Craft. I bet this is something you did as a child and have tried with your own children? 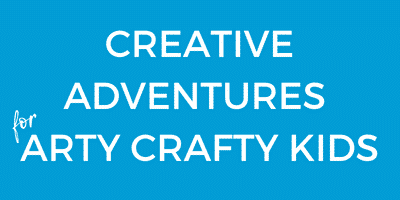 I know that I have fond memories of this activity and it’s a pleasure to pass it onto my own kids! 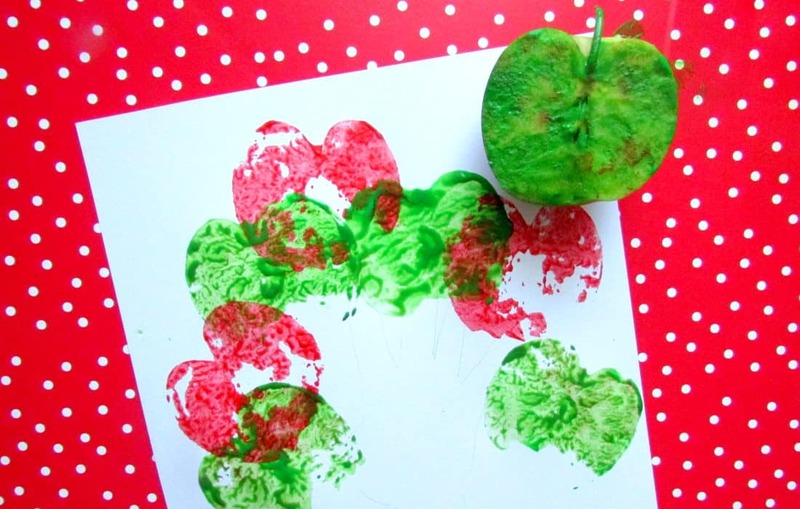 Inspired by a our Handprint Autumn Tree, we’ve created a Handprint Apple Tree! 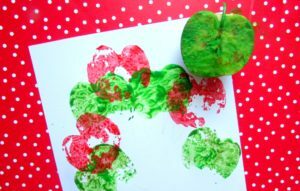 This is a really easy kid activity and if you have apples in the house, along with some paint you could probably do it right now! 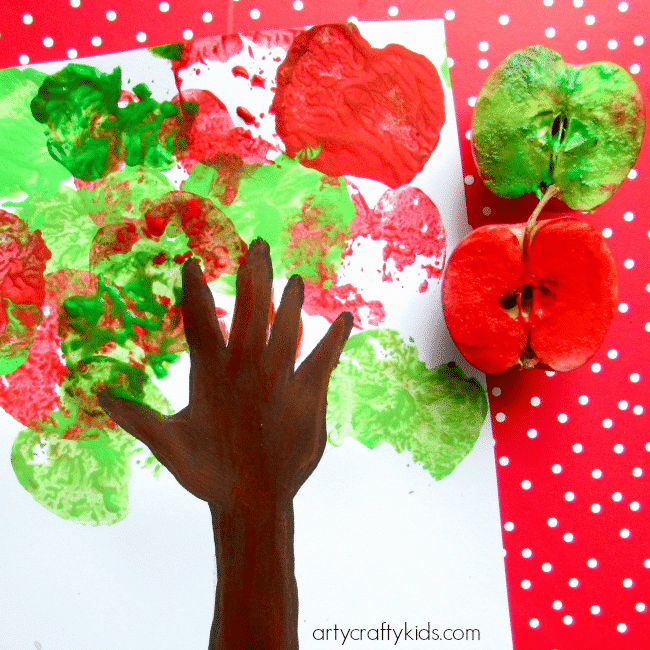 Interestingly, my girls had opposing views on the title of this craft – Handprint Autumn Tree Vs Picking Apples from an Apple Tree. I always love a good debate and most importantly, the girls had fun and enjoyed creating their own apple trees. 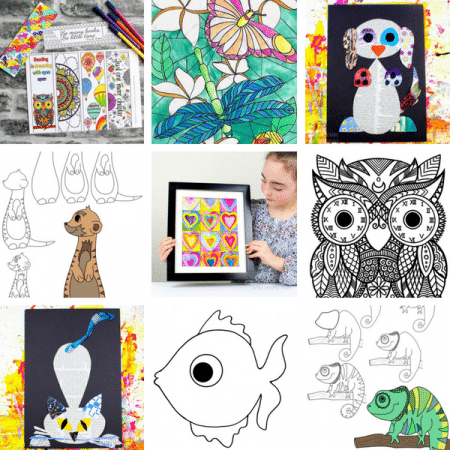 Use a pencil to draw around the outside of your child’s hand and arm. Cut an apple in half. Either dip the apple into the paint or use a paint brush to cover the surface. Using the other half of the apple, add a green layer to the apple tree. 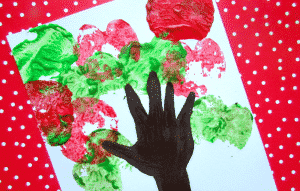 Finish off by filling in the hand print with brown paint! TIP: to avoid wasting paint, simply mix any left over green and red paint to create a brownish colour. 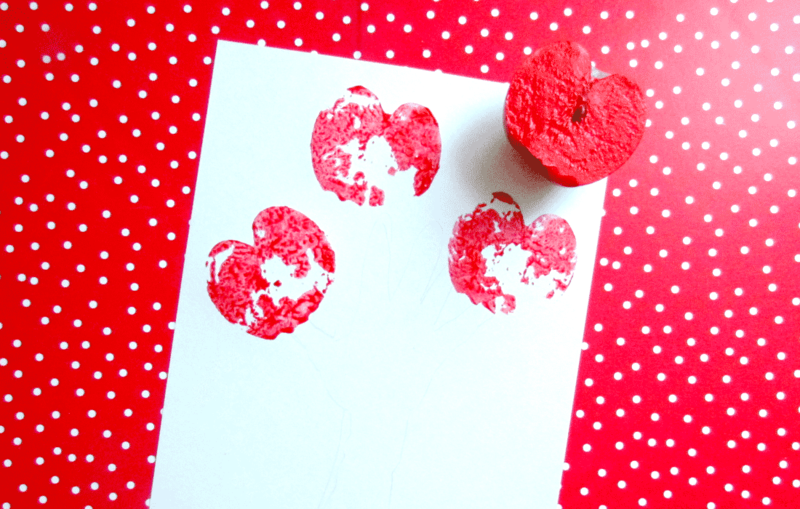 Once the handprint is filled in, add a few more stamps to the tree. 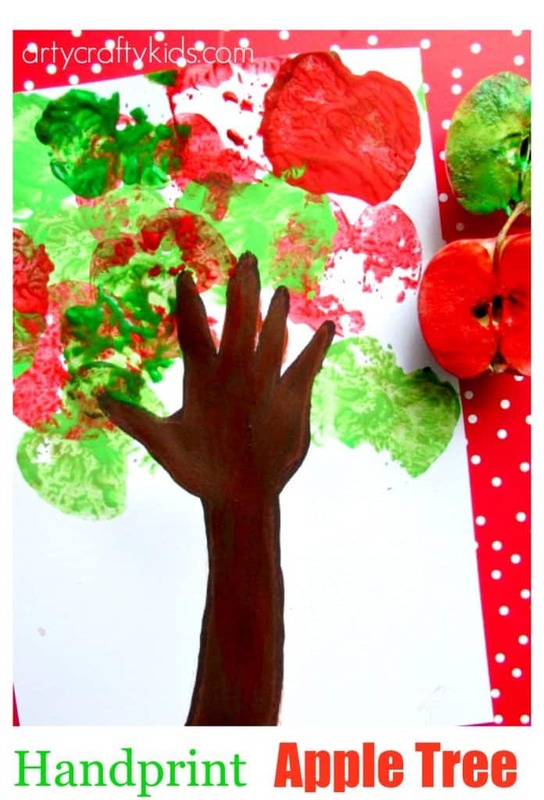 This Handprint Apple Tree is incredibly simple, making it perfect for toddlers and preschoolers – particularly within a group or classroom setting!